TO REGISTER: Access this registration: CLC Training Brochure 4.26.2019 or call 651-644-4438 to have a copy emailed to you. APPLY to be a CLC Volunteer Attorney: VOL ATTORNEY APPLICATION Attorneys who are taking the RYFC training in order to become a CLC pro bono attorney need to complete the attached application and either mail it to Children’s Law Center or bring the completed paperwork with them to the RYFC training. This half-day training earns you 3.75 CLE credits and is the perfect fit for anyone’s busy schedule! 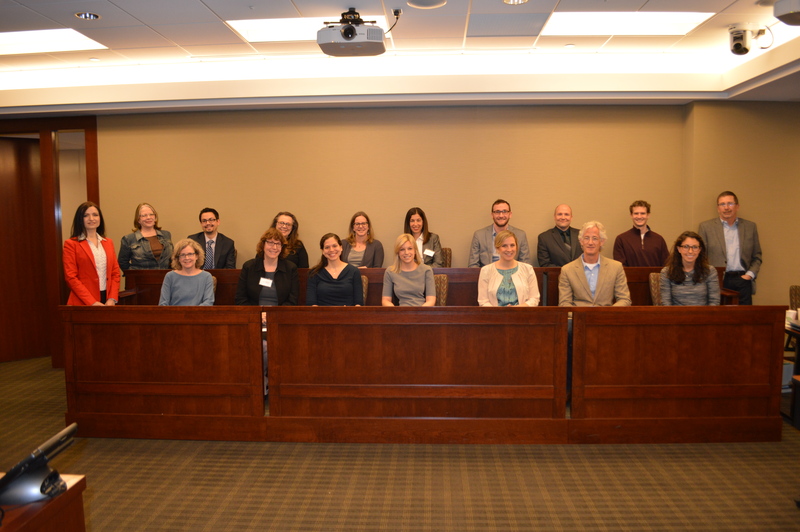 This training program focuses on preparing pro bono lawyers to represent foster children. The training includes a comprehensive overview of the child protection system in Minnesota, as well as an opportunity to learn from current CLC attorneys, child advocates, and experts. We hope to see you there! Please check back for future dates! This will be updated as dates are confirmed. Thank you. At: Merchant & Gould P.C. – Special thanks to our host, volunteers, presenters and panelists for making it a wonderful day! To receive a notice of the next training and a registration form when they become available, please contact us at info@clcmn.org .